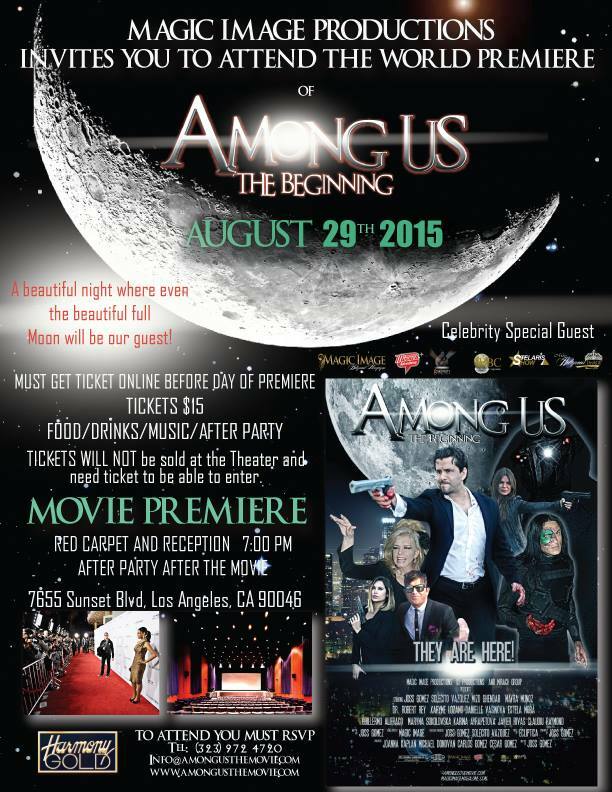 Magic Image Productions and Magic Image Hollywood Magazine along with Solecito Vazquez and Joss Gomez invites you to attend the world premiere of the movie “Among Us The Beginning” at Harmony Gold Theater in Hollywood on August 29th with the red carpet starting at 7pm. Come join them and their cast and crew along with celebrity guests to celebrate this special night. This film is about Noom (Mizo Ghendar), an evil extraterrestrial from the dark side of the moon, who comes to early looking for a beautiful human female with whom to have a hybrid child in order to control our minds and bodies while they live Among Us. He will not be stopped in his quest and will even resort to murder and mayhem. 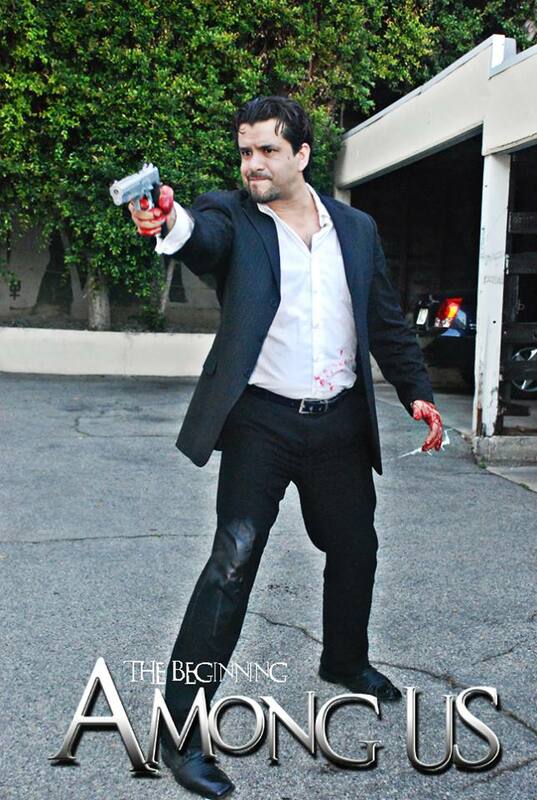 A human being named Joss (Joss Gomez) is at the right place at the wrong time and will face Noom and try to stop him before it’s too late. Solecito Vazquez, Dr. Robert Rey, Claudiu Raymond, Mark Sevier, Amelia Johnson and Danielle Vasinova round out this ensemble cast.